CipherLab Service Centre in Melbourne for Australian Partners - CipherLab Co., Ltd.
Taipei, Taiwan -September 8, 2015 - CipherLab is a world leader in AIDC solutions for a wide range of industries. CipherLab's expertise is at the convergence of scanning, mobile computing, and business process design. 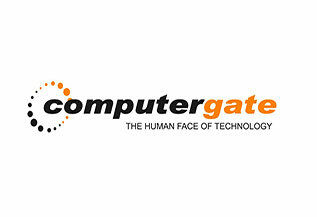 It has today appointed Australia-based maintenance service provider, Computergate Australia, as its authorized service centre. "After a thorough assessment of current warranty programs, CipherLab chose Computergate for its superior service throughout Australia. Computergate is a focused independent service partner that allows a stable platform for all our partners. We expect to deliver superior warranty service offerings to support all products in the field that will provide our channels with a seamless use experience." said Steven Liau, chairman of CipherLab. "I am excited that CipherLab has joined Computergate to enhance its strategic channel program. The industry leading features of Computergate's service programs complements the needs of CipherLab product set and supports perfectly the need to develop further their market strategy with their distribution partners. Our service will allow CipherLab to refine their service offerings as well as deliver better customer experiences in the process," said Mario Greco, Computergate's CEO. For more information, please contact Chris Yeh, chris.yeh@cipherlab.com.tw. CipherLab is a global leader in the design, manufacture, and marketing of Automatic Identification and Data Capture/Collection products and systems. The company's mobile computers and scanners are integrated into the networks of some of the world's best known logistics, retail, distribution, government installations and healthcare companies, helping them run more efficiently and effectively onsite and on the road. Operating worldwide, CipherLab is headquartered in Taipei, Taiwan with offices in Chinaand the USA, and is publicly traded on the Taiwan stock exchange (Taiwan OTC: 6160). For more information, please visitwww.cipherlab.com.